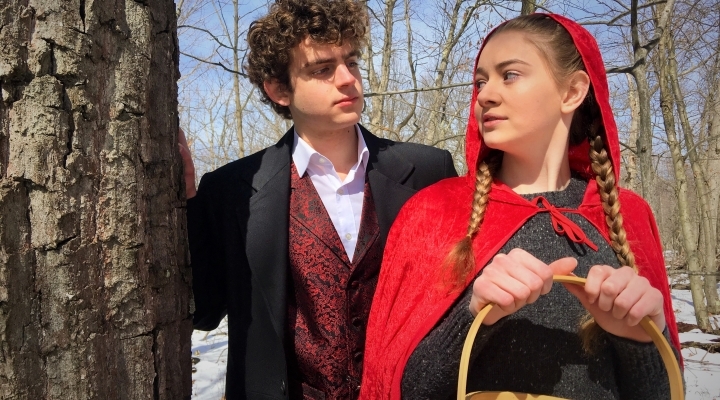 Bishop Walsh students Ben Koch and Aurora Mahoney are the Wolf and Little Red Riding Hood in BW Spartan Theatre’s production of the Stephen Sondheim musical “Into the Woods.” The show runs Thursday through Sunday, April 4-7. Showtimes are 6 pm on Thursday and Friday, 5:30 p.m. on Saturday, with a 2 pm matinee on Sunday. Tickets are $10 for all ages and are on sale in the BW ticket booth at the school on Bishop Walsh Road. For more information, call the school at 301-724-5360.